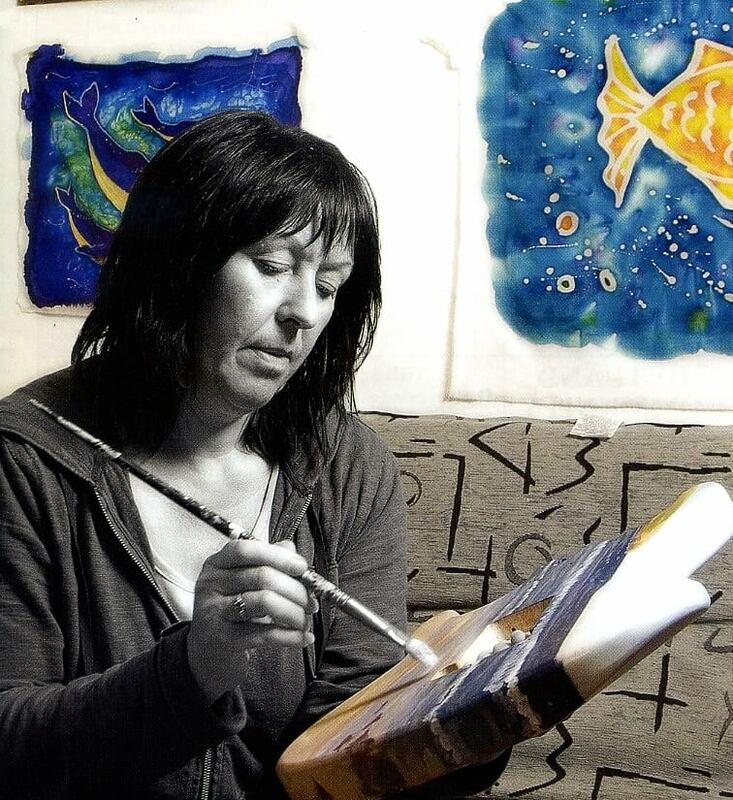 Joan Fraser was born in Walls on the West Side of Shetland, and is a graduate of Gray's School of Art. She designs luxury scarves and is inspired by the infinite variety of Fair Isle pattern: timeless, classic and ever absorbing the new. Hannah is undoubtedly our most "local" Shetland artist, having been born in Gutcher, which is only a mile down the road from the gallery, although she now lives in Norfolk. Her work brings a smile to the face of everyone who enters the gallery. Chris Rigby is not a "Shetlander by Birth", but is definitely a "Shetlander by Adoption". You can tell that instantly, when you view his paintings of the Shetland landscape/seascape. His passion shines out and you know that he painted the scene from real life, with the wind tearing at his canvas, rather than from a photograph in the comfort of his studio. Coleen Thomson is a member of the most creative and talented family we have ever met. She is a Yell lass, through and through, and lives in Aywick on the East Coast of Yell.